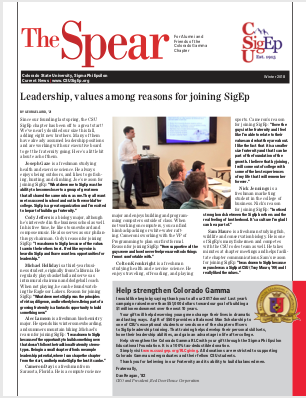 Colorado State Sigma Phi Epsilon Publication Archive, 1949 - Present. Also see upcoming Alumni Events here. 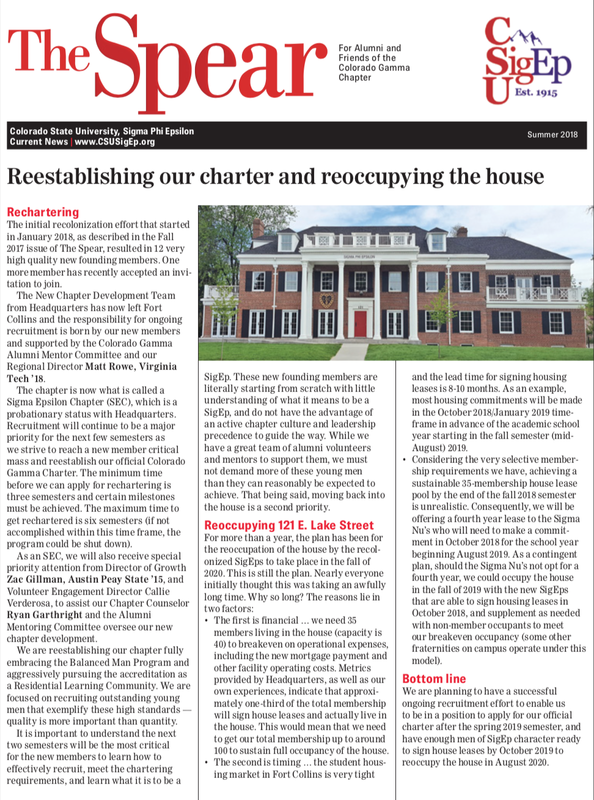 "Rebuilding Campaign Receives its First Honor Donation"
"Brothers Gather to Celebrate the 100th Anniversary of Colorado Gamma"
Update on university relations, construction, and financing for the 121 East Lake St renovation from Brothers Hornung '61, Christ '79, and Harmsen '01.